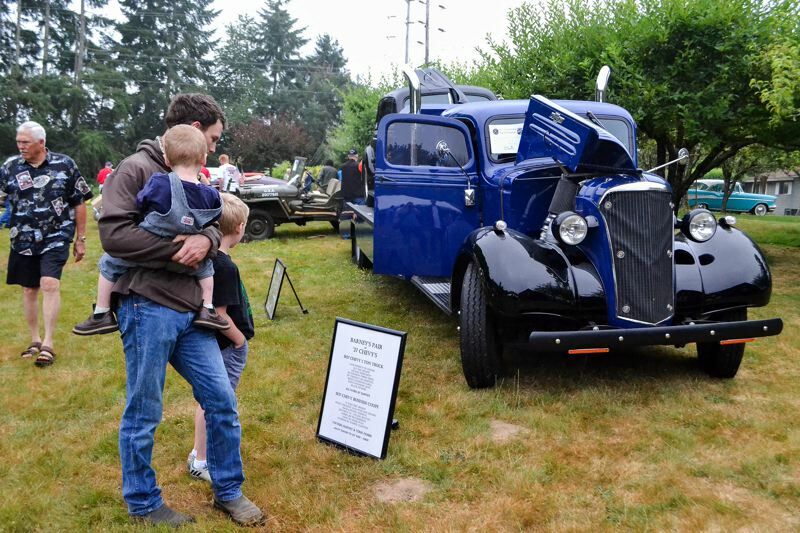 Mark your calendars for the Sandy Kiwanis Club Cruise-in on Sunday, July 29, at Oral Hull Park. We're sad to learn of the demise of the Fly-in portion of the Sandy Kiwanis Fly-in Cruise-in. But we know this group has done everything in its power to keep this event alive and thriving for many years. Sometimes circumstances go beyond anyone's control. We invite the public to continue supporting the Kiwanis when they relocate their Cruise-in to Oral Hull Park, 43244 S.E. Oral Hull Road, Sandy, on July 29. And while we're on the subject of local community events, we'll take this opportunity to dispel the myth circulating on social media in regard to the Sandy Mountain Festival. • Yes, there is a festival this year. July 14-15 in Meinig Memorial Park. • Yes, there is a parade this year. July 12 on Pioneer Boulevard. • No, the festival won't have a carnival this year. In other words, the reports that the entire festival has been cancelled are just more unsubstantiated rumors propagated by social media. The Sandy community is fortunate to have local volunteers who put on these events year after year. Thank you, Sandy Kiwanis Club. Thank you, Sandy Mountain Festival committee.